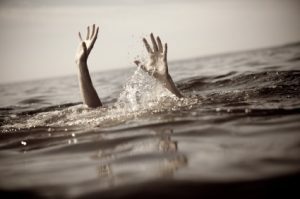 Week 2 – Am I drowning? The knowledge delivered with such gusto and enthusiasm that I feel I cannot breathe. Maybe my brain needs some rest. The webinars are long with vast amounts of valued knowledge. Can I take it in? Tony Robbins talks about total immersion, and that’s the best way to learn. I’m sure he’s right. However, I’ve just jumped off a plane and dived straight into this program, with little to no reflection of my learning in Spain. Every minute since my return is being used up to catch-up with the Master Key Experience. I’ve watched and rewatched the first two webinars and still not sure if I’m getting it. No worries! It is a lot! I am taking it one day at a time, and with each day I am able to dial in more. It has been worth the effort…I had to slow down, and yet make an intentional schedule for spending time doing something with MKMMA. I decided that for now allowing myself to look at the material each day I am giving myself the opportunity to absorb what I need to for that day. What I can say is that each day I absorb more. You’ve got this!!! Wow thank you Rita for taking the time to read my post and comment. It kinda feels awesome that someone has taken the time to do so. You are most welcome. thank you for wanting to comment.